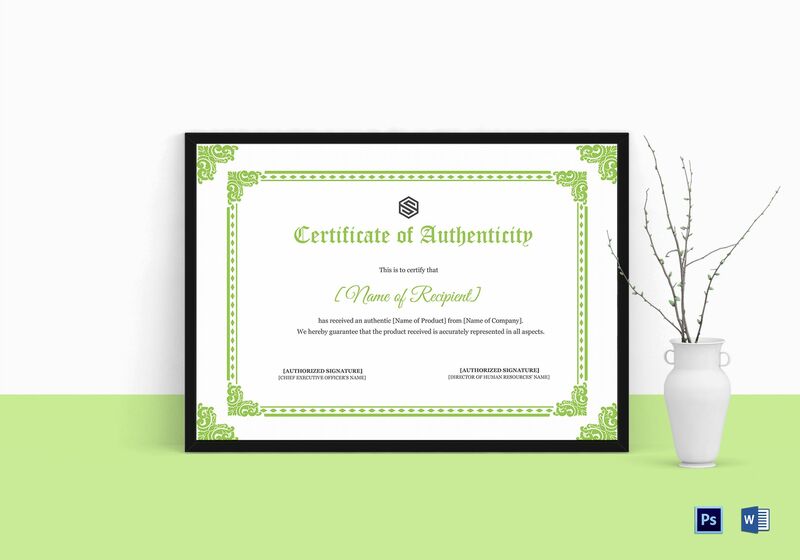 Use this white and green Certificate of Authenticity Template for any of your authenticity certificate needs. 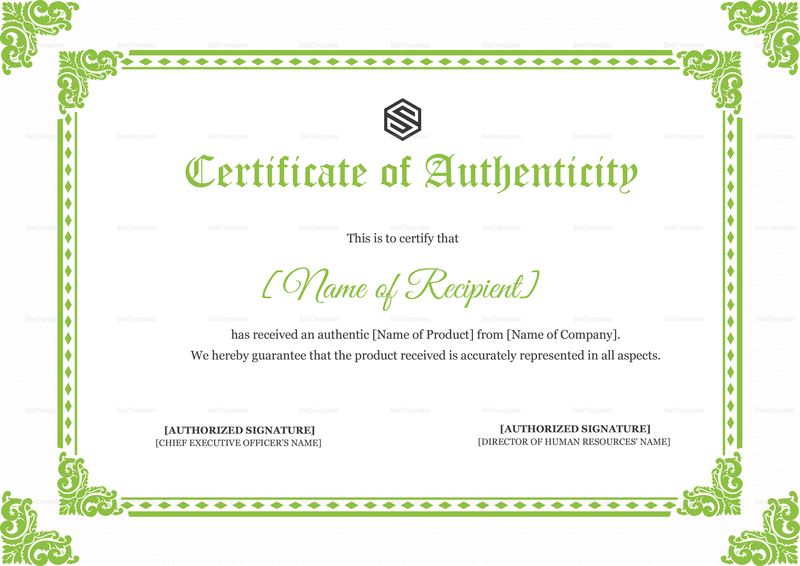 This easy to edit certificate is complete with standard fonts and license. Use your choice of software app or program that supports MS Word or Photoshop file formats to edit and make changes to the template. Print at home or send out for commercial printing. Download today and get instant access to this useful file.